Art – COLD FUSION NOW! Electronic musician Esa Ruoho a.k.a. 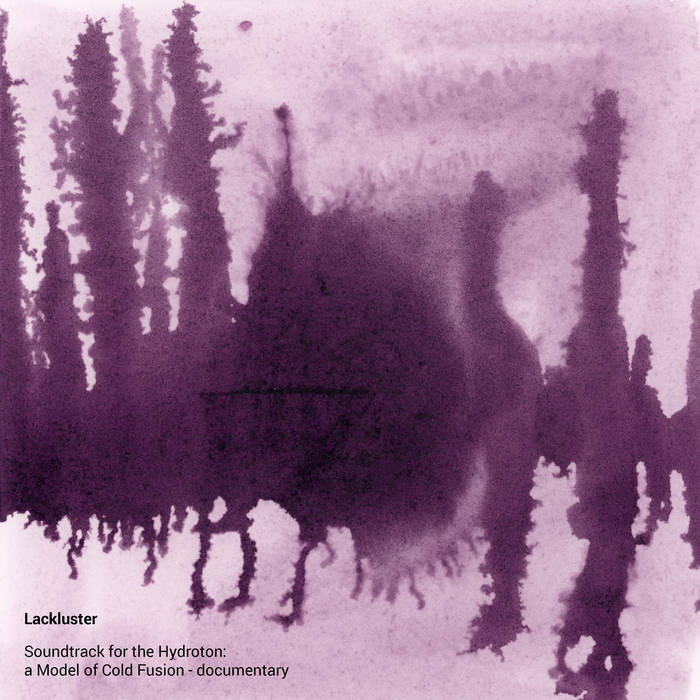 Lackluster first put the sounds together for the science documentary on Edmund Storms‘ “nano-crack” theory of LENR. Filmed and edited by Ruby Carat, HYDROTON also features animation by Jasen Chambers. After gravitating around the Merck label in it’s heydays, this floridan equivalent of Warp until 2007, the finnish Lackluster now flies under the radar via small structures and today via autoproduction, relegated to the margins by musical media and lovers of electronic sounds — more interested today with pop and dansey incarnations –, like many specially-gifted craftmen of a now fringe of electronic music. He has since broken away from IDM for more atmospherical experimentations, and we meet Esa Ruoho once again today with two beautiful ambient releases, a solo and a collaboration. Iridescent pads (Circling), stellar blips (Wet Echoes Part XIV) and cascades of echoing keys (Fragrance), even without the gummy beats of the LAX EP, the Hydroton soundtrack sounds more like what this Helsinki native accustomed us to with his electronica moniker, which he’s using here. Second collaboration with the documentary film-maker Ruby Carat from the Cold Fusion Now! collective which gathers researchers from all over the world, specialists of cold fusion, Hydroton gives music to a documentary on cold fusion theory of the same name. In this new video, Dr. Edmund Storms explains his model based on formation of hydrogen kernels tighter than usual in nano-spaces (gaps) of materials which can trigger a slow cold fusion with electrons, and give off energy as photos. It’s holiday-time so we won’t bore you with physics, however musically Lackluster orchestrates here an electron-microscope matter-ballet (Unveiling), an organic ambient but sufficiently abstract in its textural, pulsated loops to evoke a particle flow rather than cellular-life (Walls Low Ebb). Esa Ruoho is also the Editor and composed the theme music for the Cold Fusion Now! podcast which brings the voices of cmns scientists to the public. Attendees of the 21st International Conference on Condensed Matter Nuclear Science ICCF-21 all went home with a special ColdFusionNow.org flash-drive with conference abstracts, LENR science articles, and HYDROTON animations and audio files. In the isolated LENR field where fact disappears by the cacophony of false claims, we believe it’s important to support the musicians and artists who have the courage to translate this science into words, images and sounds that draw the public into understanding. Please purchase this compilation from Esa to show this work matters. It was the artist, too, who awakened that broad philanthropic spirit which, even in old ages, shone in the teachings of noble reformers and philosophers, that spirit which makes men in all departments and positions work not as much for any material benefit or compensation — though reason may command this also — but chiefly for the sake of success, for the pleasure there is in achieving it and for the good they might be able to do thereby to their fellow-men. Through his influence types of men are now pressing forward, impelled by a deep love for their study, men who are doing wonders in their respective branches, whose chief aim and enjoyment is the acquisition and spread of knowledge, men who look far above earthly things, whose banner is Excelsior! Gentlemen, let us honor the artist; let us thank him, let us drink his health! See Cold Fusion Now! Collective notes, audio, and photos of ICCF-21! Just out of the box and more jam-packed than ever before! The The Industrial Association for LENR finally released their 2017 LENRIA Calendar and this year’s effort is the best yet! Every square centimeter of space educates and fascinates with the facts and figures of Condensed Matter Nuclear Science (CMNS). As full disclosure, I myself Ruby Carat worked on this very calendar, together with LENRIA’s Steve Katinsky, who produced a fabulous visual directory of the scientific field. Featuring an impressive network of global researchers working to unlock the promise of Nano-Nuclear Reactions, as the 2016 SPAWAR report described them and is quoted in the calendar, one-after-another, the pages reveal the sheer number of people working to find a solution to our global resource needs – using only bits of metals and ultra-clean hydrogen from water. The last several years have witnessed an increasing rate of interest in the science, as well as the technology. Working together, the CMNS scientists profiled in the 2017 LENRIA Calendar show the world what cooperation beyond borders looks like. Photos from the recent 20th International Conference on Condensed Matter Nuclear Science (ICCF 20) held in Sendai, Japan along with a satellite conference in Xiamen, China, have experimentalists and theorists from every continent represented. I still have mine on my refrigerator. As a calendar there’s little room to write your appointments, as the date spaces collect the wisdom and knowledge of the field today with quotes, historical facts, and an occasional equation to elevate the fun. It’s more art than contemporary date book, more science almanac than nostalgic paper calendar. Last year’s 2016 LENRIA Calendar was a huge tool for advocates, wowing newcomers to the field with its lavish tech photos, showing some well-funded, and scientifically-successful ventures. This year, the elite of scientific research see themselves as a cohesive community, one united in purpose: a clean energy revolution. A technology eludes engineers and a theoretical model still awaits community confirmation, but the research is coming closer than ever to narrowing-down the criteria for success. After 28 years of effort, designs are finding ways to extract value from the effects, which once understood, will point the way to a green technological future for all of life kind, on Earth and beyond. With ultra-clean, energy-dense power from the hydrogen in water, we have the choice to re-make our planet without the imaginary borders and imaginary disputes, but the greatest collaborative global project ever conceived. The 2016 LENRIA Calendar is now available! Purchase yours today from Infinite Energy Press! Formerly, the History of Cold Fusion Calendar, this wall-hanging masterpiece now flies under the banner of LENRIA, the LENR Industry Association, Inc with Director Steve Katinsky. Created by Ruby Carat of Cold Fusion Now, and edited and produced by Steve Katinsky, the calendar is jam-packed with info about the emerging new energy industry now forming around the ultra-clean energy generated from cold fusion power cells. Including historical notes, this calendar tells the story of a technology met with virulent resistance, and a group of researchers who defied mainstream rejection to develop and understand this elusive reaction. Large, close-up photos of scientists, engineers and their nascent technology grace each month of the year, while dates hold facts and figures to educate and inform. What day was designated “F-Day” by the Electrochemical Society? How much more energy is gained from deuterium fusion than burning coal? When and where was the first steam plant ever built? You’ll find the answers to these questions in the 2016 LENRIA Calendar, to be sent to politicians and policymakers, researchers and investors, and YOU! The Global Breakthrough Energy Movement is a collective of artists, activists, and technologists creating events and forums for new energy researchers in order to power a revolution in human living arrangements, and they have published another edition of their flagship magazine. PULSE presents science and technology in the field of breakthrough energy. The gorgeous PULSE #3 is a sensory banquet of full-page, beautifully-printed art, and has articles on topics such as The Agonizingly Long Wait for Breakthrough of Breakthrough Energy by Fred Teunisson, who laments the lack of progress in commercial development of new energy technology, and ultimately takes a hard look in the mirror for why. This issue also features an article on The Explanation of Low Energy Nuclear Reaction by Dr. Edmund Storms, a book that compares the observational data from cold fusion experiments with the many theories of LENR. Cold Fusion Now’s Ruby Carat was one of the editors of the book and designed the front cover hydroton. Subscribe to PULSE and support the work of GlobalBEM. New book in German discusses zero-point energy. See a free peek inside PULSE #3 online! Or, help to make forums and conferences for breakthrough energy science and technology researchers. Sir Arthur C. Clarke wrote in support of cold fusion when mainstream publications refused to publish on the topic. Clarke also lent the authority of his voice to the film Fire From Water, the 1998 documentary film written by Eugene Mallove (creator) and Jed Rothwell and directed by Chris Toussaint. Multiple takes of Sir Clarke discussing science, and scandal, are now available as an .mp3 and a transcript courtesy Infinite Energy Magazine via Jed Rothwell of lenr-canr.org. Eugene Mallove and Infinite Energy Magazine followed the science-fiction icon’s interest in new energy, publishing several articles by Clarke, and collaborating on advocacy within government. Buy the DVD from Infinite Energy and support the New Energy Foundation, founded by Eugene Mallove. could have made such fools of themselves. However. . .
slowly become convinced, from my original skepticism, to 99% certainty that it is for real. The evidence now is really overwhelming, and I do think this is a major scandal. cold and often isn’t fusion at all. an exaggeration, but it’s not a bad idea. that we aren’t always sure of what. . .
earth was “utter bilge” to quote a remark made by a certain Astronomer Royal. Well, again and again we have seen these new and revolutionary ideas proved, and then finally accepted and taken for granted. use them if you. . .They are relevant, but they’re rather long winded. . .
a total revolution which occurred actually in the last couple of decades. The other one is. . .
proved that old ideas, old concepts, were completely wrong. I’m an old fashioned conservative, so I still believe in the law of the conservation of energy. often wondered if supernovae are industrial accidents. would investigate them more carefully. blinded by their prejudices and are unable to see what lies directly ahead of them. It has been said that the art of living lies in knowing where to stop, and going a little further. certainly right. When he states that something is impossible, he is very probably wrong. That’s one of Clarke’s laws. But my favorite Clarke law is the third, which is. . .
I’d like to give you the three Clarke’s laws. he is almost certainly right. When he states that something is impossible, he is very probably wrong. technology is indistinguishable from magic. would have been pure magic only a few decades ago.